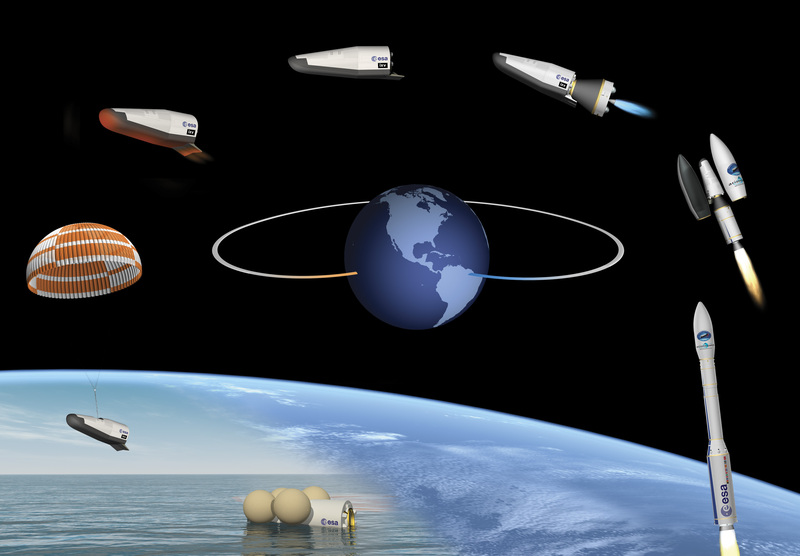 The Intermediate eXperimental Vehicle (IXV) project objectives tackle the basic European needs for reentry from LEO, consolidating the knowledge necessary for the development of any future European reentry system while allowing risk limitation. It will be launched by ESA in 2014 on Vega, Europe’s new small launcher, into a suborbital path, from Europe’s Spaceport in French Guiana. After being launched into space, IXV will return to Earth as if from a low-orbit mission, testing brand-new European atmospheric reentry technologies during its hypersonic and supersonic flight phases.